Orbit Fantasy Workshop – join the write-along challenge! 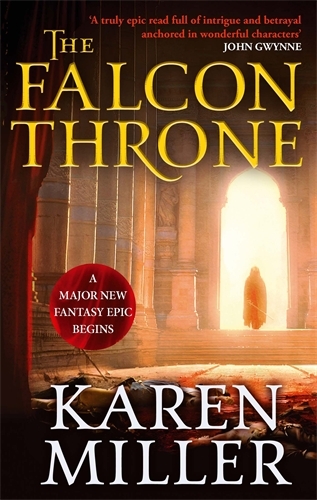 Have you always wanted to write your own fantasy novel? Have you got some great characters and plot lines bouncing around in your head that won’t leave you alone? Have you written a few stories but finally want to get going on your first real masterpiece? This is your chance . . .
I’m delighted to say that today we’re kicking off the Orbit Fantasy Writing Workshop. This is a communal online write-along event, designed to get the creative juices flowing for aspiring fantasy authors worldwide. It’s a great opportunity to finally put pen to paper, and get some advice on what makes a great story. Sitting down and writing can be tough, but it’s easier when you know there are many other people like you going through the same thing at the same time. So get involved and get writing today! Since one of the most vital things about what makes a novel tick is the characters, I’d like you to write a scene which shows how one of your characters is morally conflicted i.e. a scene in which they’re torn between doing the right thing for the wrong reasons, or the wrong thing for the right reasons. This could be a scene merely made up of a conversation between one or more other characters. It could show a character’s actions on a battlefield. It could be a tale of an assassin who shows mercy, or an honourable champion doing something terrible. It could have an epic fantasy feel, a coming-of-age feel or an urban fantasy feel. So long as it’s a fantasy scene which shows characters that are neither obviously good nor bad, it will fit the bill. We hope this workshop inspires you to get writing – because that should be a highly rewarding experience in itself. But there is a competition element to this too. Once you’ve written your 2,000 word sample as per the above challenge, you can either just sit back and admire your work – or you can submit it into our competition. The Orbit team will read every submission that is entered (submissions must be a maximum of 2000 words). And along with the Orbit folk, I will be picking one entry to win a series of in-depth editorial sessions about their writing with myself and an Orbit editor. This is your chance to have your writing read by industry experts and receive feedback that could set you on the path to writing your own bestselling fantasy novel. An entry form will be posted on this site on Friday 31st July, and entries can be submitted until the end of 3rd August. I hope to be able to offer some helpful guidance over the coming week for any budding authors who get involved. 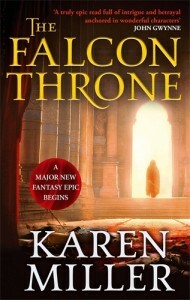 My own writing career so far, from writing my debut THE INNOCENT MAGE (US | UK ) to my latest novel THE FALCON THRONE (US | UK | AUS), has been a wild ride. And if a new writer can be helped by something I’ve said, it will make all the hard work worthwhile. Throughout this week I will be providing words of advice and encouragement on the Orbit site and on the Orbit Twitter feed (though there’s no requirement to be on Twitter to take part). Feel free to leave any questions or comments below, or use the hashtag #OrbitFantasyWorkshop to let us know how your writing is coming along. And if you’d like to ask any specific questions about writing during the week, you can ask me them directly in the Reddit Ask Me Anything (AMA) session I’m doing this Wednesday. I’m here to help, so fire away! So where to begin? The answer is to pick up your pen and start writing. And in order get your ideas in line, see my first piece of advice here on Writing Your First Fantasy Novel. See details of the next stage here. *Update* Submissions are now open here.